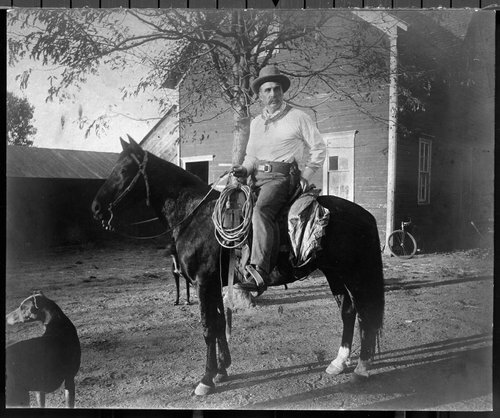 A photograph showing Chalkey McCarty Beeson seated on his horse. He came to Dodge City from Colorado in 1875. During his life, he owned the Long Branch Saloon and a cattle ranch, organized the Cowboy Band, served as sheriff and was a state legislator representing District 101 Dodge City and Ford County for the sessions 1903, SS1903, 1905, 1907, SS1908.